Before they got together, Robert Weagley’s current girlfriend was ensnared in a bitter divorce with her now-former husband. He was the primary breadwinner; she stayed at home. But although she did not earn an income for much of their relationship, she owned a partial stake in the family business she inherited from her father, and her soon-to-be ex-husband wanted a piece of it. The divorce proceedings grew bitter. “Because of that, every child of that family is doing a prenup when they get married,” says Weagley, emeritus chair of the personal financial planning department at the University of Missouri. We typically think of prenuptial agreements—legal contracts that specifyhow assets will be divided between a married couple in the event of a divorce—as the sole province of the ultra-rich. But they have utility for middle-class people, too. When there’s a substantial financial discrepancy between two people getting married, a prenup often makes sense. (Almost always, a prenup stipulates that the wealthier of the two parties gets to retain all the financial assets they had entering the marriage.) Ever more so when you consider the divorce rate is roughly 50 percent, and that money issues are the leading cause of failed marriages. Problem is, there’s no good way to discuss a prenup with your partner, since there’s nothing less likely to give you faith in your upcoming marriage than having a serious conversation about getting divorced. Case in point: There are numerous popular Reddit forums about relationships and personal finance riddled with stories from people who thought they were happily engaged, until their fiancé(e) asked them to sign a prenup. Not to mention, a prenup speaks to the inherently transactional nature of marriage, which historically treated women like chattel. Fortunately, we have Weagley, a man who’s taught personal finance professionally and who’s live through a divorce of his own, to dispense some advice on the best way to go about asking for a prenup. There’s no better way to deal with awkwardness than cowardly avoidance: You can avoid having a frank discussion about you and your fiancé(e)’s finances by avoiding it altogether! That’s because prenups only protect the assets each party has upon entering the marriage. But What About Future Income? 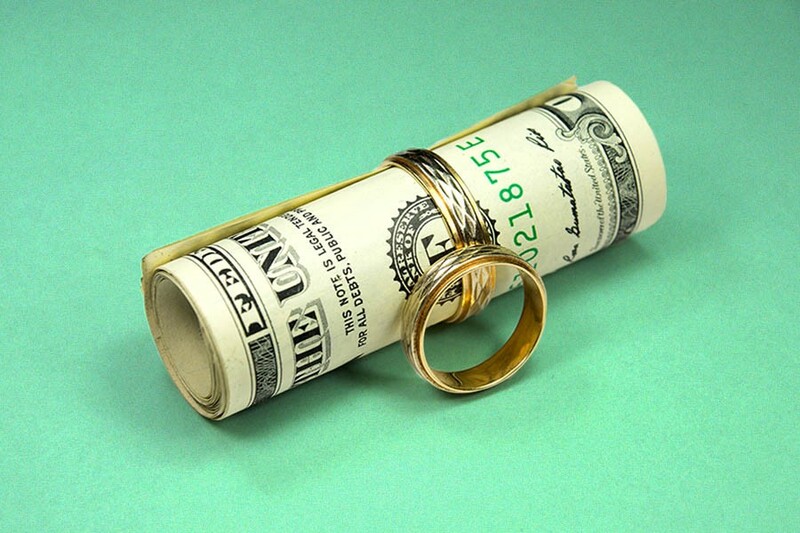 Income earned after a couple marries is viewed as a join asset, and is split more or less evenly during a divorce. But many wonder if they can have a prenup agreement that allows each party to protect the income they plan to earn during marriage — like, say, if one person plans to earn significantly more than their spouse, or to start his or her own business. That said, a trust is a complicated legal and financial instrument, so people should be willing to spend lots of time and legal fees obtaining one — kind of like with a divorce! Money issues are the number-one cause of marital strife, according to Oakland University sociology professor Terri Orbuch, who’s devoted much of her professional life to studying how financial issues affect relationships. The only solution to that strife is for couples to have frank discussions about money well before they start planning a wedding, Orbuch says. Those conversations will inevitably reveal any major differences regarding money management, and if one party might want to protect their money with a prenup. The prenup talk will just be an extension of those conversations, Weagley says. Easier said than done, though. “Couples should always talk about money, and they don’t,” Weagley says. If couples can’t even bring themselves to discuss how much they plan to spend on dining out, then a conversation about dividing assets in a divorce will be even more fraught. It’s important not to shame the person you’re asking to sign a prenup. People’s reluctance to discuss money speaks to the intense amount of shame people feel when they confront their dire financial situations. Take, for instance, this New York Times Modern Love column, in which writer Abby Mims writes of her shame when her husband asked for a prenup and she was forced to reveal her dire financial situation. “[A prenup] is an awkward conversation, so it should be a dialogue, not a monologue,” Weagley says. They say a fair negotiation is when both parties walk away slightly dissatisfied. Thus, Weagley suggests that the person asking for the prenup (i.e., the person with more money) make a good faith offer upfront. They should offer to give up some of their pre-existing wealth if the couple ever does divorce. “The person who wants the prenup should be willing to put something on the table as part of the agreement,” he says. Odds are if you need a prenup, you and your partner have significantly different perspectives on how to handle money, and that can ruin any bond. But by having a formalized agreement, it removes money from the relationship equation entirely.